The Magic, Deerhoof’s latest release, greets us with a mix of noisy pop and chaotic rock & roll. The album as a whole takes a more aggressive tone in comparison to previous releases; however, the experimental rock band stays true to their overall sound even while playing around with styles and technical approaches. Drummer Greg Saunier remarked that the album has roots in “what we liked when we were kids – when music was magic – before you knew about the industry and before there were rules. Sometimes hair metal is the right choice.” He gives some insight into the album’s chaotic mixture of styles and consistent rawness of sounds. After reading about the album, I stumbled across many sources stating that the entirety of the album was recorded in an abandoned office rental space in the desert of New Mexico. It makes a lot of sense that an album recorded in such a space would feel so free and uncalculated, as the nature of the location permitted the musicians to play loudly and without restraint, which is definitely reflected in the final product. “Kafe Mania!” pops off with fun synth, crunchy guitar, and driving percussion reminiscent of “The Tears and Music of Love” off their 2008 album Offend Maggie. The synth becomes increasingly melodic, and Satomi Matzusaki’s vocals take a staccato, yet dreamy pop sound. “Life is Suffering” entertains the same juxtaposition between rough instrumentals and sweet vocals sung by both Matzusaki and Saunier this time. The catchy chorus “life is suffering, man” (too real) is accompanied by steady drums and classic electric guitar. “That Ain’t No Life to Me”, sung entirely by Ed Rodriguez, Deerhoof’s veteran guitarist, takes a cliché rock vibe and combines it with feedback-laden garage noise. While it stands out as a bit of an anomaly from the usual dreamy noise Deerhoof is known and loved for, the song isn’t the only heavy tune on the album. The full-on rock vibe returns later in “Dispossessor” with Rodriguez taking the frontlines once again with vocals and strong guitar riffs. I am not too keen on macho rock & roll tunes, though these are a refreshing change from Deerhoof’s typical experimental sound and ultimately showcase the band’s stylistic versatility. “Criminals of the Dream” starts off with a humming synth and dreamy (go figure) vocals, followed by sweet poppy electronic keyboard. The clipped rhythms line up perfectly with Matzusaki’s trademark vocals repeating, “you can dream, you can dream, you know you can dream”, sending you afloat down a pink lazy river. The offbeat jazzy tunes of “Model Behavior” follow, with dystopian synth ringing in the background. Greg Saunier takes the frontline with powerful drums that accompany Rodriguez and John Dieterich’s (Deerhoof’s other resident guitarist) funky guitar rhythms. 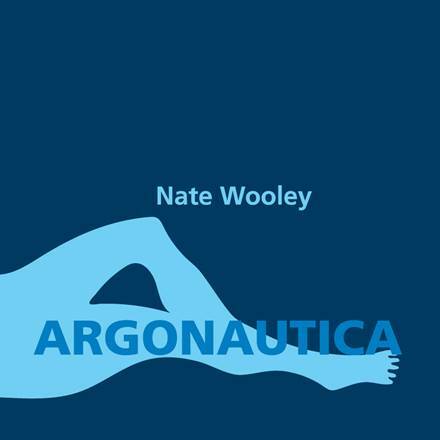 The rest of the album follows the same pattern of technical aptitude and stylistic ambiguity. Deerhoof’s characteristic musical risk-taking mixed with more traditional rock algorithms with makes for a fascinating overall sound. 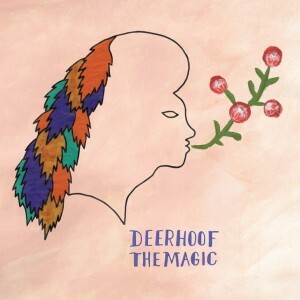 Though not my favorite Deerhoof album, The Magic is still a strong addition to their oeuvre. This entry was posted in Reviews and tagged album review, deerhoof, Erika Kindsfather, Pop, the magic on July 4, 2016 by CKUT Music Coordinator.